Rest assured after a long day of work in the new Reception Chair by Boss. 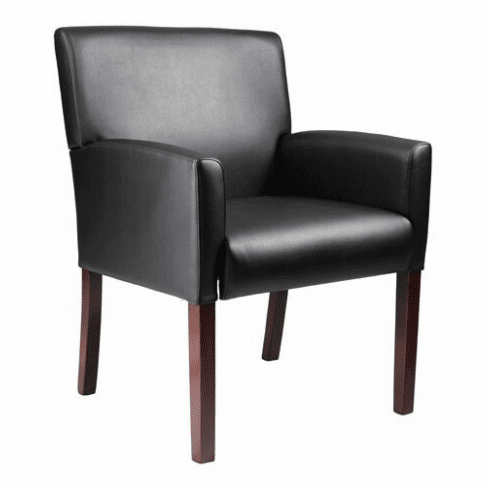 Just in time for summer, this exceptional chair is perfect for conventions, receptions, events and more. Its Mahogany Finish adds more appeal to indoor settings as well. In addition to clarity, it's soft and well-rounded for perfection, a must have. This boss office chair normally ships within 2-3 business days from our GA or CA warehouse.